A case study documents the positive impacts of a leadership training program and the challenges of sustaining improvements in districts serving large numbers of disadvantaged students. The program helped leaders generate higher academic expectations, data use, and staff collaboration in their districts. Although sustainability is a challenge due to leadership and staff turnover, the case study documents the importance of involving the community in the turnaround process. On his return to Gila Vista Junior High School, Tyndall and his leadership team developed a 90-day action plan outlining their vision, goals, challenges, actions, and timetable and identifying the responsible parties and evidence that would show progress. They began helping teachers focus on data — rather than rely on assumptions and anecdotes — to analyze student performance. Tyndall also made it possible for teachers to meet regularly on collaborative teams and encouraged their tough conversations about why students were missing learning targets and what combination of social, emotional, and academic supports might move them ahead. To personalize learning for every child, the school plans to adopt a one-to-one technology initiative so teachers can better differentiate instruction. “We have not yet reached the goal” of universal achievement, Tyndall acknowledges as he enters retirement in 2015. But the seeds of excellence are sprouting. A new case study by WestEd finds evidence to support Tyndall’s optimism, but it also documents the continued challenge of sustaining improvements in districts that serve large numbers of disadvantaged students. The report, Understanding the Impacts of Leadership Development, examines the turnaround efforts in both Yuma and the Whiteriver Unified School District, which serves the Fort Apache Indian Reservation in Arizona. During the summer of 2012, 23 administrators and teacher leaders from Whiteriver and Yuma attended the School Turnaround Specialist Program at the University of Virginia, with support from the West Comprehensive Center at WestEd. The program provides state, district, and school leaders with the kind of executive education that traditionally has prepared business leaders to manage large corporations. Participants receive leadership-based professional development and monitoring over a two and one-half year period with the goal of producing significant gains in student outcomes. By analyzing and applying case studies of how teams historically have solved intractable problems, school administrators learn how to focus on raising achievement in persistently low-performing schools. Researchers were interested in exploring the impact of this program in Yuma and Whiteriver primarily because of the districts’ challenging contexts: Yuma is about 15 miles from the U.S.-Mexico border and serves a high percentage of Latino students, including those with limited English proficiency; Whiteriver serves an isolated community where about 80 percent of adults are unemployed. Both districts have a history of low achievement and have qualified for many state and federal initiatives to improve teaching and learning. Indeed, some staff complained about having “school change fatigue” because they had been asked to participate in so many reform initiatives over the years. Some educators resisted implementation of past leadership training recommendations, figuring they could simply avoid making changes until the grants and program monitoring ended. According to WestEd’s case study, the training influenced how leaders in Yuma “approached short-term strategic planning, scheduling, observation, and feedback within their schools,” and the instructional and administrative changes “had a clear impact on the school cultures of the five middle schools” that participated. Specifically, the administrative changes generated higher academic expectations, increased data use and awareness, and more staff collaboration. Data-driven practices became embedded in everyday campus culture. Learning to use various forms of data to diagnose students’ learning gaps was among the most significant impacts that the school turnaround program had in Yuma. Previously, “teachers and administrators described data use as something that was done on a teacher-to-teacher basis and indicated that it was not systemic or regulated at the administrative level,” according to the report. Afterward, “there was a fundamental shift in the way student data was used for collaborative purposes to inform instruction.” Data-driven practices became embedded in everyday campus culture through collaborative team meetings, structured intervention periods, personalized student monitoring, data displays, and targeted professional development. A key part of the transformation process in Yuma, as noted by principal Tyndall, has been learning to look for answers within their sphere of influence, rather than blaming outside factors that may contribute to students’ learning problems. The WestEd report notes that the leadership training tried to imbue the districts with “an anti-deficit approach to learning,” asking educators to raise their expectations of students and of themselves. Putting this approach into action, most teachers formed professional learning communities to improve their instruction. The report describes conditions that make turnover high on the reservation, including its remote location, long commutes, high cost of living in the nearest town, difficult circumstances that teachers see the students go through, and low salaries. To recruit experienced administrators who had successfully led other schools through turnaround, Whiteriver used federal grants to pay them higher salaries. But given challenges such as long commutes and the intensity of the jobs, it has been difficult for the district to retain experienced administrators after funding for higher salaries dried up. Eventually all of the administrators who participated in the University of Virginia training left the school district. Other legacies of the leadership training do endure, however. 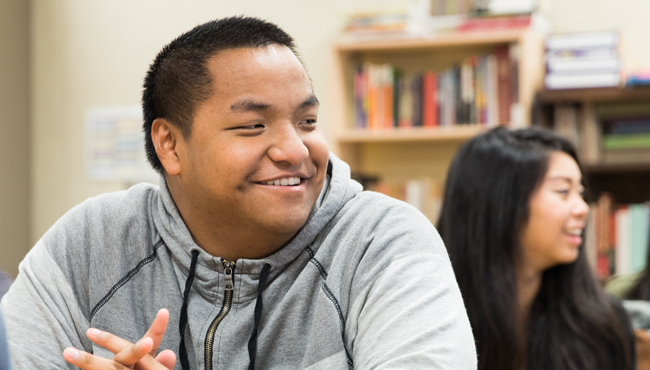 To help students dealing with poverty, abuse, and gang violence, Whiteriver hired counselors, social workers, and behavioral health workers for every school, and these new staff have been instrumental in improving the school culture. When grant funds that supported these positions ran out, district leaders turned to the White Mountain Apache Tribe, which then partnered with the district to retain most of the behavioral health workers. “A takeaway from this was the importance of involving the community in the turnaround process,” says Jameson Lopez, coauthor of the report. “The community wasn’t involved in all aspects of school turnaround. Tribal councils have power on the reservation, and some people in the district” with ties to the council have never bought into the reforms. In Whiteriver, district leaders have discovered that they can get high-quality educators and reduce turnover by hiring people with ties to the White Mountain Apache Tribe. For example, the incoming superintendent is White Mountain Apache, and the district also recently promoted two educators to be new principals — one of whom is a tribal member, and the other had married into the tribe. “The kids will see these women and tribal members in positions of authority,” Lopez notes. Another lesson learned from the district’s experiences concerns the limitations of education alone to make a difference in the community. One administrator says that during his 18 years in the district, 61 students died from suicide and alcohol-related and drug abuse. In cases where students do excel, they have had to face the choice of leaving the reservation to pursue college or careers or stay behind with few prospects of employment. The lack of economic development may ask them to make a cruel bargain with future prosperity.